Puzzles and brain twisters to keep your mind sharp and your memory intact are all the rage today. More and more people -- Baby Boomers and information workers in particular -- are becoming concerned about their gray matter's ability to function, and with good reason. As this sensible and entertaining guide points out, your brain is easily your most important possession. It deserves proper upkeep. Learn about the built-in circuitry that makes office politics seem like a life-or-death struggle, causes you to toss important facts out of your memory if they're not emotionally charged, and encourages you to eat huge amounts of high-calorie snacks. 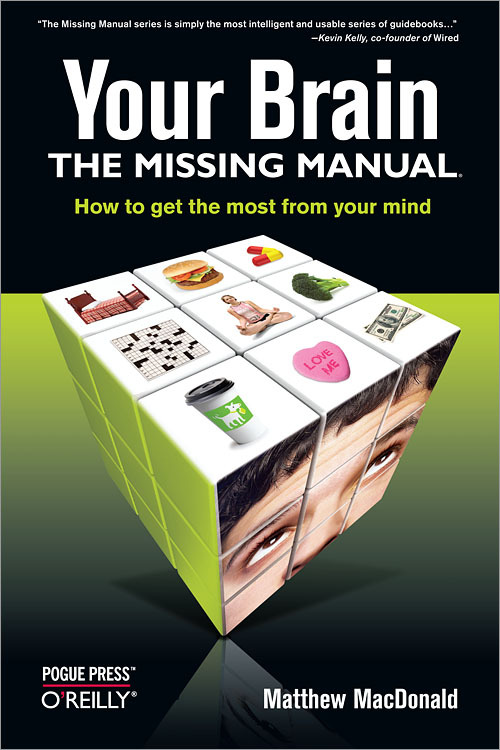 With Your Brain: The Missing Manual you'll discover that, sometimes, you can learn to compensate for your brain or work around its limitations -- or at least to accept its eccentricities. Exploring your brain is the greatest adventure and biggest mystery you'll ever face. This guide has exactly the advice you need.